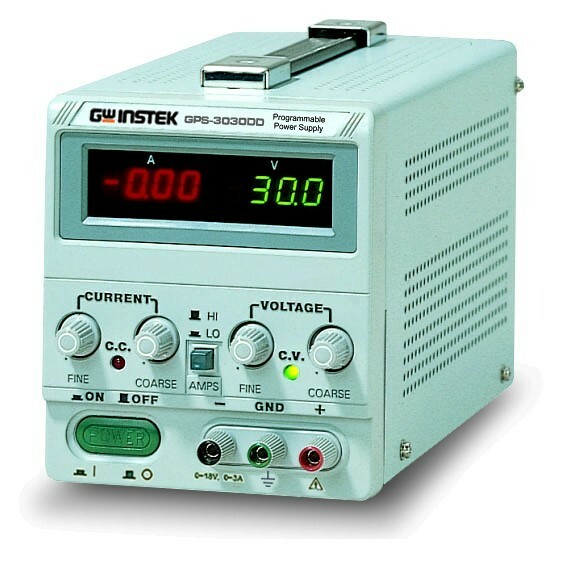 Produktinformationen "GwInstek, 3-Kanal Power Supply - 2 x 0...30 V/3A - 5 V/3A Festspannung"
The GW Instek GW-GPS-S Series is single output, 54W to 90W, linear DC power supplies. The GW-GPS-S Series includes both analog and digital display meters with varying power outputs. The GW-GPS-S Series features overload and reverse polarity protection as well as high regulation and low ripple/noise that are maintained at 0.01% and < 1mVrms, respectively. Continuous or dynamic internal load selection accommodates applications such as pulsed current. Remote control terminals offer programming and operation from an external device. 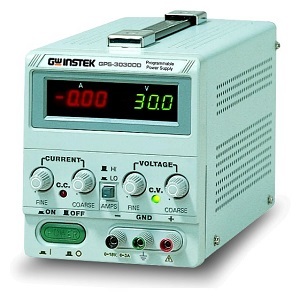 Weiterführende Links zu "GwInstek, 3-Kanal Power Supply - 2 x 0...30 V/3A - 5 V/3A Festspannung"